As I do on occasion, today’s post is a review about a recently acquired item. But first, let me tell you of the story behind it. My lovely wife Ann thought it would be nice to buy me a nifty gadget – she knows I love technology – for Christmas in the form of a Metawatch Strata. While I did like it, there were a few things that I couldn’t really get used to, namely the difficult-to-read silver (?) display and its failure to control music on my phone. This would have been a great feature when I was out running. But no matter how I tried, it just wouldn’t read the music on my phone which was pretty disappointing. After two days, I reluctantly returned it to Best Buy for an exchange. I say “reluctantly” because I am the guy who never, ever returns gifts no matter what. I just don’t do that. But in this case, with a smartwatch that wasn’t all that smart, I didn’t have much choice. I had been researching the Pebble Smartwatch before I went to the store and ended up getting it for the same price as the Metawatch Strata (on sale for $79.99). Ann still seemed disappointed in my choice but she’s since learned that it was the right one, and here’s where the review begins. Note that I am currently using an HTC one M7, probably the best phone I’ve had, to connect to the Pebble. For starters, I should go over what exactly Pebble is. It’s a simple, functional smartwatch with a black-and-white backlit LCD display that does only what it needs to do. It’s not fancy like Samsung’s Gear smartwatches and doesn’t promise to do all the ridiculous things that Apple is saying its Apple Watch will eventually do when it’s finally released – whenever that will be. Pebble is indeed the Bauhaus of smartwatches in a market currently ruled by Warhols, and that’s a good thing. Pebble is designed to be an extension of your smartphone by displaying notifications for incoming phone calls, emails, and texts. (Additionally, you can set the Pebble to vibrate for any and all alerts.) It also lets you control smartphone apps and functions such as music and fitness apps such as Endomondo, my preferred fitness app. You can also load apps like Yelp and onto the watch although some of them may need the full-size accompanying app (like Endomondo) on your phone in order for them to run. The Pebble is what it is: simple. You won’t be overwhelmed by its looks but if you feel that making a fashion statement is part of owning a smartwatch, then you definitely have other more expensive choices out there. It’s available in white, black, or red and if your feeling really GQ, you can go for the Pebble Steel, twice the cost of the standard model and with a few more features. As for me, I opted for black as I know it will be getting banged up and dirty between running, cycling, and the daily rigors of work. There are a total of four buttons on the Pebble: the three right-side buttons are for navigation and the left-side button is for the backlight, although there are settings in the app to activate the light when you shake your wrist. Your choice. Pebble connects to your phone via Bluetooth, which means that you should expect a shorter battery life from your phone as it is talking to the Pebble constantly. Through the use of the Pebble app, you can designate which smartphone apps you would like to receive notifications from, in my case I only have it set up for text alerts, emails, calls, and a few select apps. That’s about all I really need. When you get a notification, it will show up on the Pebble’s screen. Note that in order to receive email notifications, you must be connected to your data network. I only state this because I always have my data off. Text messages, however, will always show up but MMS messages will not send an alert to Pebble as it cannot display images. One of the downsides I immediately noticed was that when I got a text, I still had to use my phone in order to reply. This was remedied when I discovered the Awear app which lets you reply with, not compose, short messages. You can select from a predetermined list of replies (Positive, Negative, etc.) or make your own list of personal Shortcut messages within the app to reply with (e.g. “Stupid cats!”) Despite a few bugs, Awear is exactly what I needed. Speaking of Bluetooth, Pebble had a few problems while I was running with Bluetooth earbuds, namely freezing, resets, and songs playback being really choppy. I’ve since learned to stick with wired earbuds which isn’t a big deal since they sound better and playback is not hindered. I’ve never run more than one thing on Bluetooth before so I’m not sure if it was my phone or Pebble acting funny and not being able to handle everything. The Pebble comes with one of the strangest proprietary USB charging cables I’ve ever seen: magnetized. The charger has a few small prongs extruding from it along with some small magnets. Line them up and the watch charges, but the trick is getting the charger to stick. The magnets don’t stay in place very well and the watch has to sit just right or the charger will not connect – and the watch won’t charge. The good thing is that a single charge will last you a few days if you are just using it for basic functions. Here’s a shot of the Pebble with the weird charger attached. However, if you plan to run other apps on top of that, then expect considerably less life from the battery. After a nearly 9-mile run the other day, it was down to 40% but being it charges quickly, it wasn’t an issue once I was home. That said, you can’t just plug any USB cable into it to charge. You’ll need to buy another proprietary one from Pebble. I’m trying to figure out the last time I was out for a run and had this much fun. As stated earlier, Pebble can control a variety of apps including Endomondo. Before I had Pebble, it was a real pain to stop said app on my phone while standing at a crosswalk or taking a quick hydration break. Now it’s as easy as pressing a button. These are my stats after my run a few days ago. As you can see, the middle-right button is the start/pause button and that’s a freaking godsend when compared to reaching for my armband, waking up my phone, then hoping that it can register my tap over the armband’s thick, plastic window. With Pebble, hit that middle button and the app stops. Amazing. (While Endomondo does feature an automatic start/stop function based on your movement, I prefer doing it manually.) The three stats you see here can be changed within the Endomondo app, and Pebble requires installing their Endmondo app in order for this to work. Pebble has a built-in Music app that lets you control whichever music app you choose via the Pebble app on your phone. Again, this beats the hassle of reaching for my phone all the time while running. All it takes is a few presses of a button and the music is paused. Once I’m ready to go, I start it up again. It works flawlessly. Along with those two functions, you can install apps to give you updates on weather, sports, stocks, etc. The downside here is that Pebble limits you to a combined eight apps and watchfaces so you’d better choose wisely. Pebble comes with a few watchfaces preinstalled and you can download more via the Pebble app. More are designed by other users and some are really amazing (Mario Bros. and retro Casio faces) while others are equally crappy. Once you download them, you use the app to send them to the watch. The problem with almost all of these watchfaces is that they are more aesthetically pleasing and less functional, meaning they don’t give you stats on missed calls, texts, battery and phone life, etc. And while the Awear app has its own watchface that displays all of those things, it cannot be customized. Enter Pebble Canvas, a third-party smartphone app that allows users to create their own custom watchfaces. 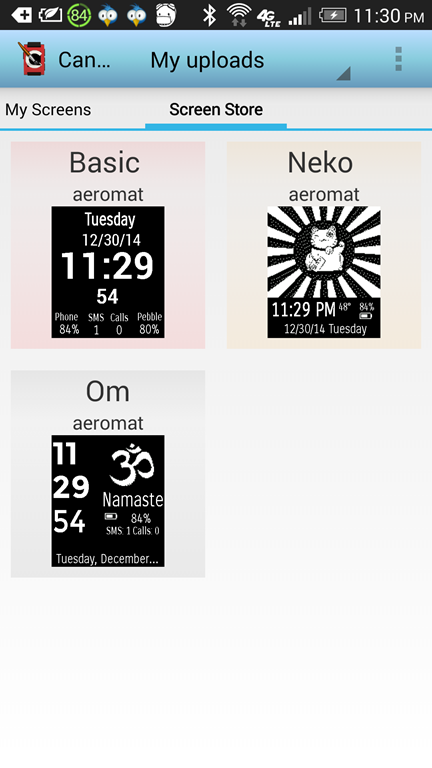 Not only that, you can also customize watchfaces created by others once you download them to the app. The possibilities are practically endless. Here are the watchfaces I’ve created so far, with Basic being the most popular of the three with over 20 downloads. Since creating Basic, I’ve added the Bluetooth icon, unread Gmail and Weather features to it (see image under Battery Life above). While watchfaces created in Pebble Canvas won’t be nearly as clean or fancy as those available in the Pebble app’s store, they serve a better purpose and give the freedom of complete customization. I’ve had my Pebble a few weeks and I admit that I really enjoy it. The Pebble watch is uncomplicated. Its e-reader display won’t win over a lot of people and neither will its limited functionality. However, there were plenty of people who believed that Pebble’s limited functionality was worth the $10.3 million it raised via Kickstarter. While I didn’t contribute, I’m a believer in this little smartwatch and all it has to offer despite the few hiccups I’ve encountered along the way. It’s a great running mate, a functional smartphone notification system, a fine music controller and oh yeah, it tells the time as well. I couldn’t expect it to do more and while not for everybody, I’ve been very happy with it so far. Okay, so it’s been way too long between posts and I sort of have an idea about today’s topic. As you may recall, I dropped my Samsung Galaxy S4 Active the day before I was to participate in the Long Beach Marathon Bike Tour and 5k. In case you don’t remember what it looked like after the fall, here’s a refresher. Since the day I dropped it, I had been tolerating the ugly display and felt every little crack as I slid my finger across the screen and because of that, I had to buy a cheap screen protector in order to save the tip on my index finger from getting any glass stuck inside of it. And I worked with it as long as I could. I think it was about a week after The Dropping when I decided that I couldn’t take it anymore and gave AT&T a call to get an idea on what I could do until I’m eligible for an upgrade. The simplest solution, as they told me, was to buy a cheap AT&T GoPhone and slide the SIM card in it and everything would be back to normal. Thinking it was a good idea, I did just that by purchasing the ZTE Compel at Radio Shack since the nearest AT&T store didn’t have them in stock. In fact, they had very little in stock and shouldn’t even be in business. More on that later. Thinking I had the problem temporarily solved, I took it home, put my SIM card in the phone, connected to WiFI, and started getting my favorite apps. By the time I hit App #7, the internal memory was already full. I didn’t even think to start moving apps to the memory card; I immediately figured that this phone was lacking and decided to take it back after two solid hours of ownership. It just wasn’t going to work for me. So now I’m back to using Ol’ Crackly. I started to browse the Best Buy site for some reason, knowing I didn’t have the money to fork over for a new phone but after searching, I did find a Samsung Galaxy that was in my price range—sort of. I still didn’t have enough money to buy the thing. I then made the decision to apply for a Best Buy credit card and, within seconds (which really is some kind of record for me), I was approved and could start shopping immediately. Hey, man. Desperate times, desperate measures. And when I buy a phone, I take a lot into consideration (except maybe for that ZTE piece of garbage, which was bought out of sheer desperation). Things like replaceable battery, expandable memory, internal memory, and camera megapixels are all important when I’m comparing. I had narrowed the phones down to a couple of Moto G models (16GB internal memory and no SD card expansion) and the Samsung Galaxy S II (16GB internal memory with SD card expansion) even though the Motorola phones had no removable battery. I don’t know how you iPhone people do it. In the end, I took a chance with the Galaxy S II knowing that it was indeed a few years behind in terms of style, OS, everything. Then the waiting game began as I checked the UPS Tracking Number daily to see when the phone would arrive. I was very happy when the phone arrived. It was so shiny and…white. But the problem was that, being it was well over three years behind the times, it had a standard SIM card and not the mirco SIM cards that today’s smartphones use. This meant I had to make a trip to my local AT&T store to get a larger SIM card. They didn’t have any of those, either. Remember when I said this place shouldn’t even be in business? Well, there you go. I had to end up scooting down the local Corporate store where I took a number and waited but not very long. I told them what I needed, they scanned my info to it, I was done and on my way home. Now it was time. I had a somewhat new phone and my SIM card which I inserted and started the setup process. It all went well and I was ready to once again start installing apps. Here’s the funny thing about the Samsung Galaxy S II: it has 16GB partitioned memory with a paltry 2GB dedicated to the Android OS and apps. Two. Freaking. Gigabytes. Had I known this from the get-go there would have been no way I would have bought it as I’m a heavy app user. Anyway, I started installing apps and was relatively satisfied having my most frequently used apps on it. Then came time to give it a test run—and it failed. The dual-core processor couldn’t handle things very well and it froze up on me frequently. The 11GB of remaining memory are for storage and pictures and I soon realized why that is: the phone was so bad that it couldn’t save images to the SD card. I would take a few pictures and then review them, losing the last couple I had taken. Once I switched to saving them internally, the problem went away but that didn’t solve the freezing-up issue. This was enough for me to decide that it had to go back to Best Buy, where I was asked why I was returning it. That’s two phones within a week and at this point, I was off the grid. Remember, that phone had a standard SIM card and my Galaxy S4 had the micro SIM card, meaning it was useless until I could get my info put back onto a micro SIM card. Ugh. So I walked around Best Buy looking at unlocked phones and man, I didn’t want to spend a lot which was the main reason I bought the Galaxy S II. The thing was just over $200 which I thought wasn’t too bad for what it was on paper, but I soon learned the truth. But after looking over several models and asking the associates how much internal memory they had (mostly 8 or 16GB), I was starting to feel as if I would be back to using Ol’ Crackly once again. That was until I saw the HTC one M7. It was blue, my favorite color. It had 32GB of internal memory. It had a quad-core processor. And although it has a non-replaceable battery and no memory expansion, in the end (and $299 later) it went home with me. Well, I didn’t go straight home just yet. I had to make yet another trip to the AT&T Corporate store to get my info put back on a micro SD card which they happily did in no time flat. And once I got home, I finally cranked this baby up and let it fly. I was impressed. I’m still impressed. This phone is everything that my previous AT&T phones were not: quick, responsive, a flat-out joy to use. And I hesitate to say that despite it not being waterproof like Ol’ Crackly, I enjoy using the M7 much more. Then it came time to start chipping away at the 32GB on internal storage, or about 24GB remaining after bloatware and OS are factored in. Apps installed and ran perfectly. There is absolutely no lag when running anything on this phone. I then transferred the music I had on the micro SD card over to it and as of now, with all of my most frequently used apps installed and enough music to keep me happy, I still have 12.4GB remaining. Ol’ Crackly was just under 8GB remaining but a lot of the stuff was running off the micro SD card which could explain the lag I sometimes experienced. And if the music on the phone isn’t enough, I have over 10,000 songs stored online with Google Music. Another plus is that I upgraded to Android KitKat, and that this model is on the list of phones that will be getting Android Lollipop next year. I won’t be obsolete for a long time! Now if there’s one thing I could say I don’t like about this phone, it’s the HTC Sense launcher. While it looks beautiful, it seems to lack a lot of things that the stock Touchwiz launcher does. But I didn’t mess with it for very long as I installed Nova Launcher, a completely customizable Android launcher that looks and functions better than Touchwiz. Also, the camera is a measly 4MP but with everything else the HTC one M7 brings to the table (quad-core processor, 2GB RAM, Beats audio, FM radio, awesome design, slow-motion HD video, etc.) I’m willing to compromise. In the right hands, even a 4MP camera can look pretty good. 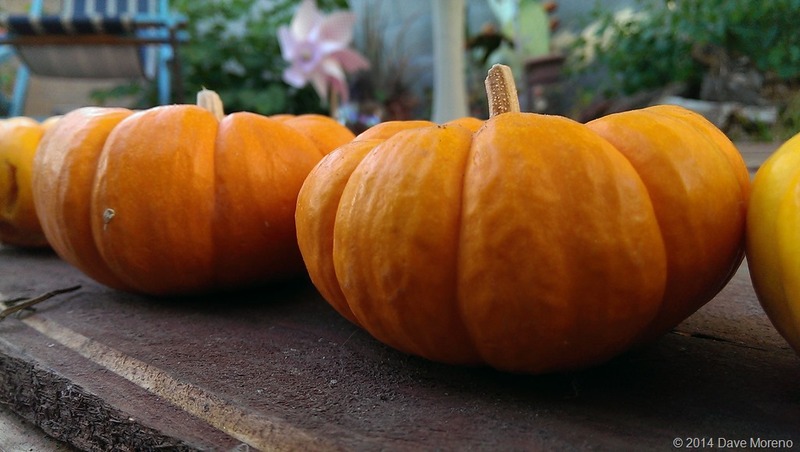 Here’s a full-size sample of a picture taken with the M7. Definitely not as sharp as the Galaxy S4 Active but still acceptable for me, and I now understand how iPhone users deal with non-expandable memory. I also bought a case for it, a rather rugged one that will have to do until I can find an Otterbox case. I’m willing to spend…uh, charge the extra money to my credit card for an Otterbox case so that this phone doesn’t suffer the same fate as the Galaxy Active. I’m just not ready to deal with that again. And oh, it’s good to sit and blog again. I just wish my laptop was still working so that I can retire to privacy of my Creative Corner where I enjoy writing so much more. When we signed our contract with Big Cell Phone Company (AT&T), something I thought I’d never do again, I remember the salesperson asking if we wanted to buy insurance for our phones. Besides, my Samsung Galaxy S4 Active was designed to be impervious to elements such as water and dust and I didn’t figure that I’d be exposing it to much of those anyway, so what were the chances of having the phone damaged in any other way? Right? Well, today I found out. On this, the eve of a busy weekend of Kids Fun Runs and my fifth bike tour and second duathlon, I am eating my words in regards to not opting for insurance. This morning I was trying to calibrate the speed on my bike’s computer by comparing it to a speedometer app on my phone. All was going well until, somehow or another, the phone slipped out of my hand and onto the asphalt. There was this awful *KA-CHUNK* sound as it made contact. I picked it up, flipped it over, and found this staring back at me. One tumble from around 3 feet at a speed of 5 MPH has turned the screen into what looks like a window of an abandoned restaurant somewhere in the middle of the Mojave Desert that had been shot at repeatedly by a CO2 pistol. I mean, look at that. It’s pretty effed up. I picked it up and as any normal 40-something male would do when their expensive gadget malfunctioned or was severely damaged, I bawled like a baby. And naturally, because I have no insurance on the thing*, I’m willing to bet that there isn’t much that AT&T would be willing to do to make things right so I’m not even going to bother to call them on it. It fell, it broke. It was an accident and that’s all there was to it. With that being the case I decided to look into having the screen repaired locally, and the quote from the first and only company I contacted was for $180 plus tax. Here’s my issue with that. I’m on the Next Plan with AT&T, a plan that includes a $20 extra monthly charge that is applied toward your future upgrade. At this point in our contract, I would have to pay $250 (the remaining balance over our contract) in order to upgrade to a new phone so even if I had the money to do so (which I don’t), there’s no way I’d spend $180 to get the thing fixed when for a mere $70 more I can just get a brand new phone. In the meantime, I’m trying to adopt to my new spider-webby screen which meant running down to my favorite Japanese store for a generic screen cover so that I wouldn’t get any glass shards in my fingertips as I use the thing. I’m sure the screen will continue to crack as days go by so the cover will also keep things in place. As for the phone’s look, I can pretend the cracks are part of a really cool, live 3D wallpaper – until it’s time to read a text. The top of the screen is pretty much useless with those huge cracks, and that means posting things to social media is going to be a real pain. Facebook is difficult, Instagram is impossible, and I’m sure I’ll find out as time goes by which other apps have been killed as the result of this little incident. And if there is anything good about this, it’s that the front-facing camera lens narrowly escaped having the crack go over it. Because, you know…selfies. So this year, my laptop took a dump and I busted my phone. Not fun. *No insurance that I’m aware of. Maybe I should call. If you aren’t familiar with the concept of mobile payments, here’s a quick little rundown of how they work. 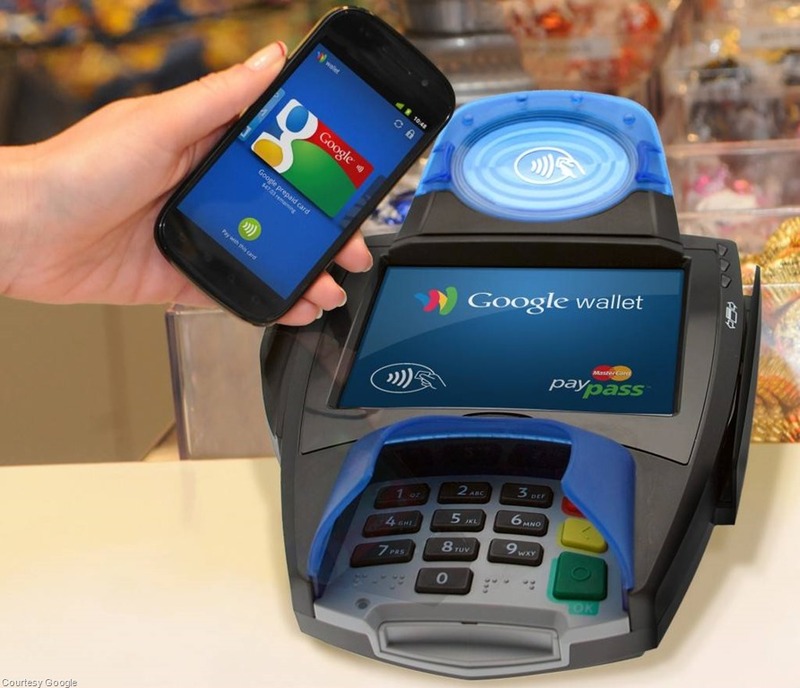 First, you must sign up with any number of services out there such as Google Wallet or Isis Wallet. These serve as your “bank” in which you can deposit money or have it transferred from your “real bank,” the one that you can touch and walk into. The services I’ve used have also given me up to $30 on my accounts just to get things going and to see how convenient it is. Free money. Second, you need to have a compatible smartphone equipped with NFC (Near Field Communications). Using your virtual bank’s app, this allows it to communicate with the point-of-sale PIN pad and will deduct the purchase total from the balance on your account. Finally, you need to find a retailer that is capable of processing payments via NFC and more often than not, each service’s website or app will find every one that is around you. And that’s the start of the trouble. Don’t get me wrong; I love the concept of mobile payments. I’ve used it on a number of occasions and it’s quick and easy – when it works. I’ll get to that later. I’m pret-ty sure I won’t be using any of those soon, and the places where you’d think mobile payments would be handy don’t have it. Grocery stores would be one of those places and there’s only one local chain that is mobile wallet-friendly (and it’s not my company). In short, there’s just not enough useful NFC POS vendors around. Not even any of our local coffee houses, including that evil Seattle-based giant, accepts them. On the other hand, there are some soda vending machines that accept mobile payments and that could come in handy should you not have any cold, hard cash on you. The second and final reason I think this concept will fail is this: not enough vendor education. I’ve been to places that accept mobile payments and when it came time to pay, the employees looked at me as if I was Mr. Spock standing there with a lightsaber (yeah, I know, blah blah blah). While there are only a handful of places that do accept them, finding an employee who actually knows how to process them, let alone knows what the hell it is, is indeed rare. This happened to me yesterday at The Flame Broiler. I placed my order and when it came time to pay, I showed the cashier my phone indicating that I wanted to pay via my mobile wallet. Deer in headlights. Complete silence. Utter disbelief. Smeckeldorfed. Yeah. No. And this wasn’t the first time this happened to me, either. While a great concept, I get the feeling that these problems will ultimately lead to its demise. Don’t say I didn’t warn you. Since this is a personal blog, I figured that instead of writing a year-end review about other things, it would be better suited for me to give a year-end review of things that actually happened in my life. It’s much easier to do something like this now since chances are I captured those moments with my phone, giving me photographic proof of the events. With all of that out of the way, here’s a month-by-month photo essay of how things went with me and the family in 2013, some of which was never mentioned here on the blog. Take a virtual trip of the things we did, places we saw, events that brought us happiness, triumph, and even sadness. Got your scrollin’ finger ready? Good! Here we go!